The project was well represented at the RAPPT (Research in Amateur Performance and Private Theatricals) inaugural Conference Paying the Piper: Economies of Amateur Performance held in London 28-29 June 2014. The sessions invited conversations on the economies of amateur performance across a range of historical periods and locations, which included lavish private houses, parlours, purpose-built theatres, ships, naval bases and village halls. Papers addressed themes such as the cost and funding of amateur performance; the investment of individual and groups in amateur endeavours; the involvement of professional performers in amateur productions; rivalries and tensions between professional and amateurs; the repertoire of amateur performance and its audiences and the role of professional theatres, organisations and institutions such as commercial publishers and theatrical suppliers in both encouraging and limiting the scope of amateur theatricals. Staging Place and Heritage: HMS Collingwood's Henry V at Portsmouth Royal Naval Dockyard (2013) Nadine Holdsworth’s paper drew attention to some of the ways that amateur theatre functions within the Royal Navy, drawing specifically on a 2013 open-air production of Henry V by an amateur group connected to HMS Collingwood based in Fareham, Portsmouth. It considered some of the implications around the professional/amateur divide; cultural value, commodity culture and cultural power that emerges when considering the origins of this piece in the RSC’s Open Stages project. It also paid attention to the location of the performance in Portsmouth Historic Dockyard in front of Horatio Nelson’s HMS Victory and considered the choice of repertoire alongside the ‘place’ of this performance and how specific marketing, staging and performance strategies negotiated intricate questions of nation, cultural tourism, cultural heritage, place and belonging. Arcadian Amateurs and Rural Workers in post WWII Devon Jane Milling's paper looked at the role that amateur theatre played in the relationship between place and community in rural Devon? The Playgoers Society, instituted by Dorothy Elmhirst in 1947 to provide “regular theatrical entertainment of educational, cultural and artistic value” and raise the quality of amateur production in the area, was an extension of the ‘amateur’ phase of the utopian project at Dartington Hall. Reflecting on the relationship between the Playgoers and existing amateur groups in the locality, including the Totnes Amateur Operatic and Dramatic Society, Plympton Women’s Institute and village pageants, this paper looked at questions of cultural value, the professional/amateur relationship, and the role of patronage and sponsorship in the field of amateur theatre. 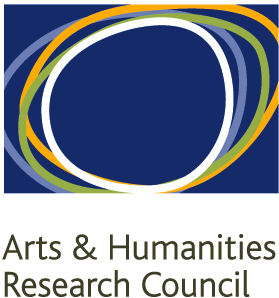 The paper looked at the diverse repertoires and resources of the different companies and the ways in which this contributed to a sense of locality and community, as well as connecting participants in rural amateur theatre to national and international cultural movements, in the immediate aftermath of World War II. Amateur Dramatics in Urban Utopias Helen Nicholson's paper considered how amateur theatre was central to constructing a sense of belonging in communities constructed at the beginning of the twentieth century, when amateur theatre thrived in the newly founded Garden Cities, model villages and in some factories. The paper drew on the history of amateur performers in Letchworth, the first Garden city in the world, who both lampooned the unconventional habits of its inhabitants for their communal living and vegetarianism, and produced politically radical plays by leading playwrights of the day. In considering the economics of amateur dramatics, it is significant that the founder of the first amateur dramatic society in Letchworth was also the Garden City Association accountant, C.B.Purdom, who was an enthusiastic amateur performer, a prolific author, editor of Everyman a literary journal published by J.M. Dent and sons (also Garden City residents) who later became General Secretary of Equity and founder of GODA. This paper analysed the motives and aspirations of the early Garden City amateurs, and consider how their values found expression in both the built environment and amateur performance.